Beijing : China's top film festival will screen five Indian movies under the category of cinema from countries that seemingly support Beijing's Belt and Road Initiative (BRI) -- a trillion-dollar connectivity project opposed by New Delhi over its key artery cutting through the disputed part of Kashmir. 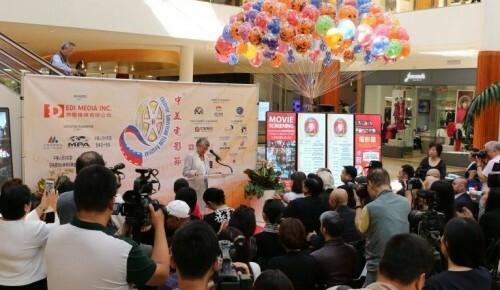 The 8-day Beijing International Film Festival (BIFF), starting on April 13, will screen over 250 films, selected from various countries under different categories. The five Indian films to be shown under the "Belt and Road" category are: "Pather Panchali", "Aparajito and Apur Sansar", "Love per Square Foot", "Ittefaq" and "Sir". It was not known immediately why Indian films were clubbed in the "Belt and Road" category under which movies from other countries not associated with the project -- like Denmark and Germany -- were also put. India has distanced itself from the BRI, a project that aims to connect Asia, Africa and Europe through a network of roads, ports and sea lanes. India opposes its key component, China-Pakistan Economic Corridor (CPEC), which passes through the Pakistan-controlled Kashmir. In 2017, India boycotted the launch of BRI forum in Beijing and is likely to repeat it at the second edition of the event this month. It was indicated by India's envoy Vikram Misri last month in an interview to the Chinese state media. "No country can participate in an initiative that ignores its core concerns on sovereignty and territorial integrity," Misri had said in an oblique reference to the CPEC.